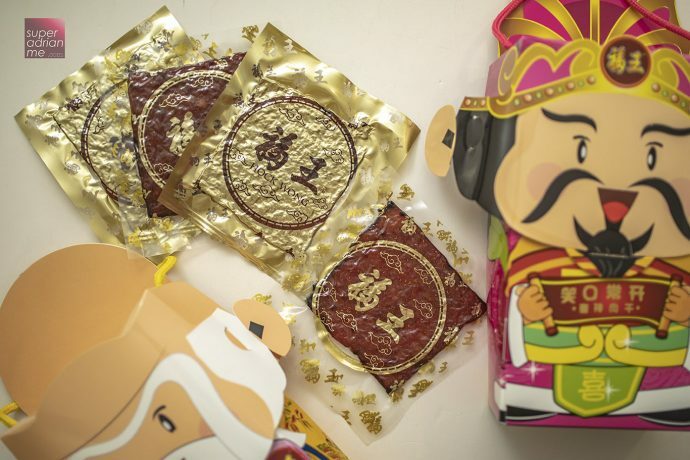 This Lunar New Year, Hock Wong debuts its bak kwa with a series of absolutely cute packaging featuring cut-out caricatures of mythological Chinese Gods of luck, blessing, fortune, longevity, happiness and fortune. Impress your mother-in-law and parents. Available online at www.hockwong.com.sg or eight pop-ups at Suntec City, Westgate (14 January) , Vivocity (15 January), NEX (17 January), Marina Square (18 January), Causeway Point (21 January), Waterway Point (21 January) and Tampines Mall (23 January) till 3 February 2019. 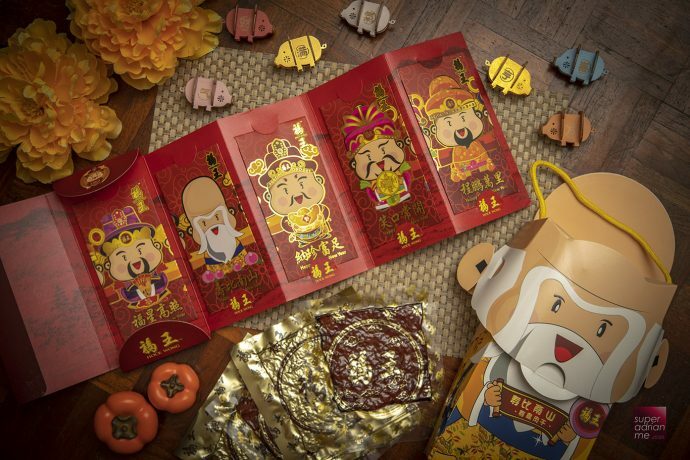 If you purchase the five-in-one collection gift set with Minced Pork Bak Kwa, you also get a limited edition set of red packets with matching designs for each mythical Chinese God. Five boxes of 600g packs cost S$148 and five boxes of 1kg packs cost S$245. Each bak kwa is individually vacuumed sealed for maximum freshness and convenience. Hock Wong uses only quality pork without beta-agonist and colouring with a well balanced portion of lean and fatty meat. A 600g pack costs S$33 and 1kg pack costs S$49.